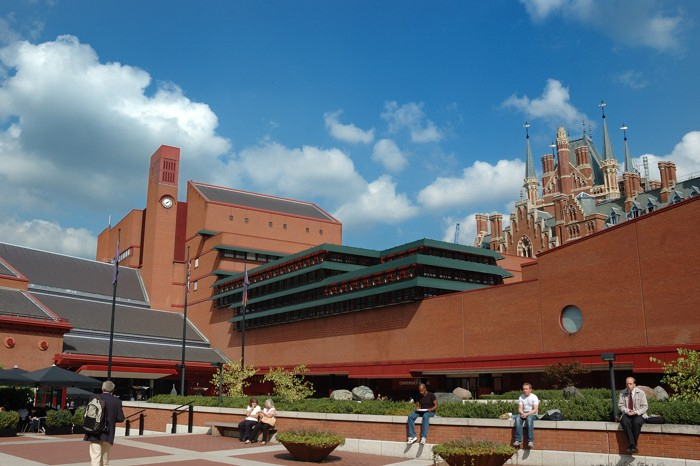 Harrow, London based mechanical services contractor G & D Higgins has marked its 23rd year in business by completing a major boiler replacement and heating system upgrade at The British Library, St Pancras – a complex project that turned out to be a text book operation. Not surprisingly, with such treasures as the Magna Carta, Leonardo da Vinci’s original notebook, The Times first edition – dated 18 March, 1788 – and Beatles manuscripts in its care, The British Library demanded that the quality of services within its flagship building – essential heating and dehumidification – be maintained throughout. With a reduction in the building’s carbon footprint firmly in view, the Library project included replacement of two non-condensing 1.75MW output steel boilers used for space heating during the winter and de-humidification re-heat during the Summer months. These in turn served plate heat exchangers on the building’s very low temperature hot water circuit. 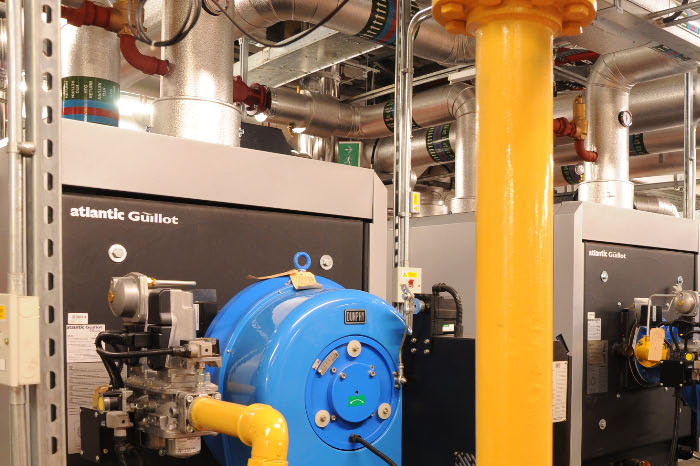 As replacements, three 600kW output Ygnis boilers, complete with Dunphy fully modulating natural gas burners offering maximum turndown with efficiency, were specified and installed by the G & D Higgins team. They had to make judicious use of branch connections in order to maintain existing plant load throughout the 112,000 sq metre floor area building during what turned out to be a continually cold winter period. Further savings were achieved with the inclusion of an Ygnis Totelco extractive economiser within the flue that is common to all three boilers. With the total system firing on its high rate, a maximum recovery here of 50kW is expected from capturing this otherwise wasted heat. Optimisation of the heating system to more closely match today’s use of the 80’s building also involved G & D Higgins in considerable resizing and replacement of complex pipework to create further savings by reducing pumping loses throughout. Replacement of two gas fired storage water heaters with two Aquasave BIO hot water heaters on the separate, variable low temperature hot water circuit was also undertaken. Relative humidity levels are critical, particularly within the four basements of the Library that extend to a depth of 24.5 metres and where air has to be chilled, its moisture reduced then reheated. Often the heating load within the building can be greater in the Summer. Not included in this project but just as crucial to the preservation and storage of so many priceless manuscripts, books, maps, magazines, music scores and patents, as well as a sound archive dating back to the 19th Century and 8 million stamps, is the building management system – one of the largest Trend installations in the world. It helps control the environment within the largest public building constructed in the UK in the 20th Century.